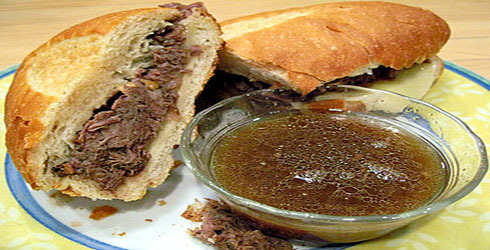 French Dip Sandwiches are a favorite of mine. I used to only eat them when out at restaurants, not having a good recipe to make them myself. This is about as simple as it gets. Even though the cooking time is long, your not really doing much, but letting the slow cooker do its job. The great thing about making this roast beef in your slow cooker, is that unlike roasting beef in the oven, you don’t have to worry about the meat drying out. The final product is a super moist, tender and flavorful beef. If you have been on The Hungry Wife searching recipes, you may have noticed that I have several Potato Salads. I love them. Potato Salad is a great dish that can be easily made and served year round. 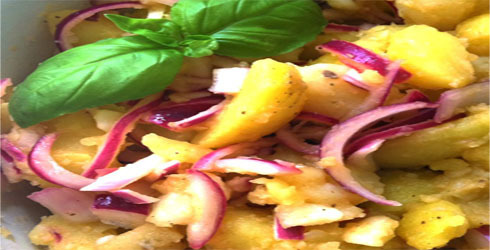 Salt and Vinegar Potato Salad is a great variation on the original, and perfect for those with vegetarian diet restrictions, or if you are just looking to replace the mayo for healthier dish. Chicken Paella is one of those great all-in-one dishes. The traditional version of this Spanish dish can take awhile to make, but The Hungry Wife Chicken Paella recipe cuts down on time by using a store bought rotisserie chicken. I love finding recipes that use a rotisserie chicken, they are perfect for weeknight meals, or when you are cooking for a crowd. 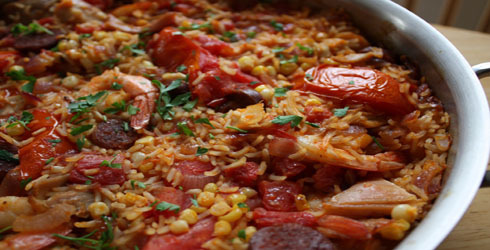 If you wish, you may add in shrimp and/or mussels toward the end of cooking for a true Spanish flare. 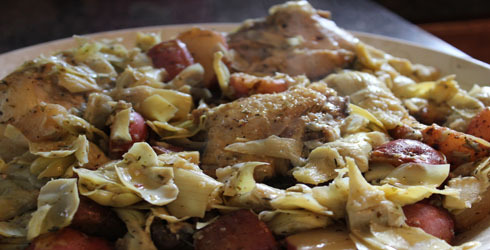 Chicken Vesuvio, or Pollo alla Vesuvio, is another recipe from the cookbook, Whatever Happened to Sunday Dinner? by Lisa Caponigri. Chicken Vesuivo is a simple stove-top braise that is incredibly delicious, giving you super tender chicken with a wonderful light flavor. Just be sure to brown the chicken and potatoes well before proceeding with the recipe – the caramelization adds lot of flavor and the browned bits stuck to the bottom of the pan become the basis of a fantastic pan sauce. Spinach Balls come out of a cookbook I picked up while living in Virginia. They are ment to be made and served as appetizers. However, when I made these up, I was a bit impatient. I didn’t feel like rolling about 100 small spinach balls, so instead, I made them meatball size. This saved me a ton of time, and also made for the perfect meatball substitute. Not only are they totally yummy to eat by themselves, but they are even better when mixed with a nice pasta sauce and placed on top of your favorite pasta. 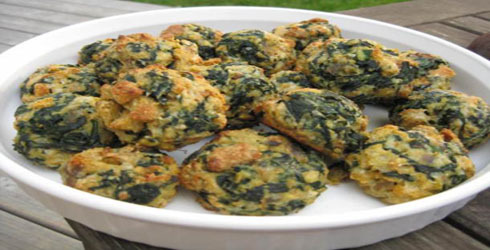 If you want to sneak spinach into your families diet, this is a great way to it. 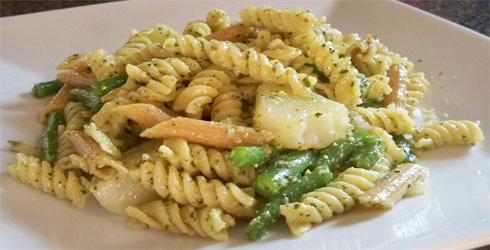 Pasta with Pesto is a super flavorful dish, that is an excellent way to welcome the spring. Using fresh ingredients makes this pasta shine. The combination of pasta, potatoes, and pesto may seem like it wouldn’t work, but it does, creating a hearty dish pungent with the flavor of basil. Sweet potatoes are amazing, and I love to make them all the time. They are a perfect side dish, full of vitamins and flavor. One problem I have with sweet potatoes is that I always seem to prepare them the same way; baked, mashed with some butter and cinnamon, and maybe some brown sugar added in if I’m feeling like I want more sweetness. 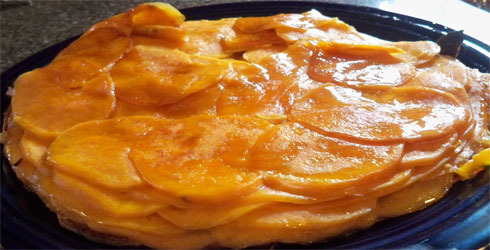 Gingered Sweet Potatoes is a great alternative way to present sweet potatoes. 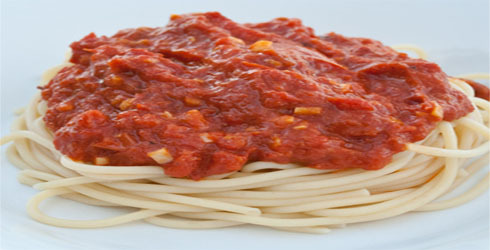 Simple Pasta Sauce is a something I came up with when I had planned a nice spaghetti dinner, but soon realized that I had used up my supply of homemade Weekend Tomato Sauce, and had no store bought sauce in my pantry. Dinner was at risk, I had no backup plan and had to come up with a solution quick. I looked in the pantry, and much to my joy, I realized I could whip up a yummy sauce that wouldn’t take hours to prepare and cook. 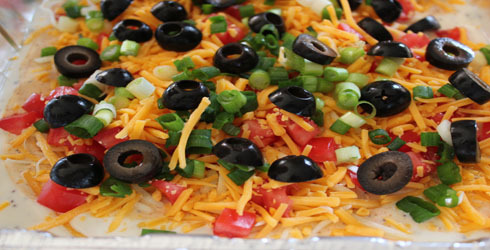 Taco Dip is a super delicious and simple recipe, that is a throwback from my childhood. When I was growing up, it seemed like nearly every get-together we had, be it birthday party or clam bake, my mother would whip up Taco Dip. I remember salivating watching her make the Taco Dip, in anticipation of being the first one to grab myself some tortilla chips and dig in to the yummy layers. 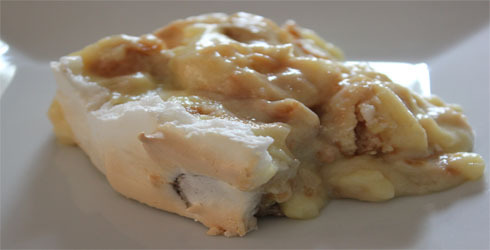 I can’t believe it took me so long to make this myself, it’s just one of those recipes that it seemed like only mom could make. 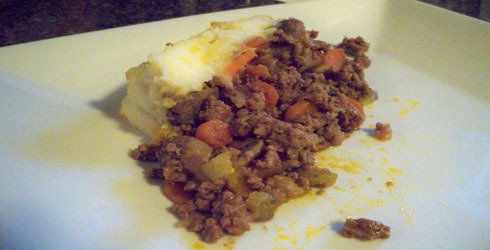 Beef Shepherd’s Pie is a traditional, all-in-one comfort dish. Shepherd’s Pie is full of flavor, and with the veggies mixed in with the beef filling, it is the perfect way to sneak in veggies to picky eaters. The creamy mashed potatoes on top are one of my favorite parts of this dish. To help make the preparation easier, you can purchase frozen potatoes that are ment for mashing. Simply cook in microwave and you are ready to mash away. Much faster then peeling, cubing, and boiling your own potatoes. 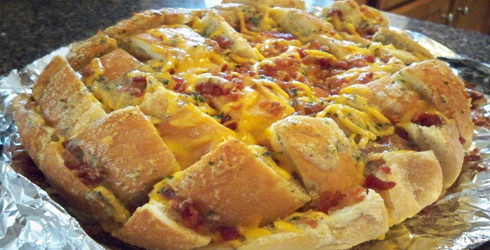 Cheddar Bacon Ranch Pulls are an amazingly delicious snack, perfect for parties. It is a bit indulgent, you wouldn’t want to sit down and eat the entire loaf yourself, but it is so good it wont last long at your get togethers. Matzo Ball Soup is simple, yet it packs some super flavor. 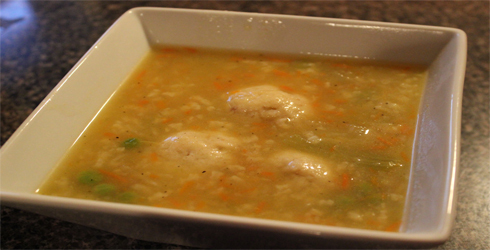 Hailed for its cold curing properties, Matzo Ball Soup rivals chicken soup for the ultimate cold remedy. 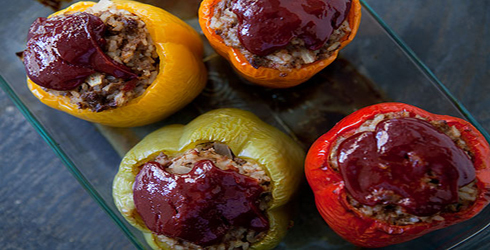 Perfect for those with diet restrictions, such as, vegetarians or those on kosher diets. Every household should have delicious, foolproof recipes for affordable cuts of meat. The Hungry Wife Flank Steak recipe is just that. Flank Steak is a relatively long, flat cut of meat and used in a variety of dishes, such as, London Broil and fajitas. Because it is a tougher cut of meat, you want to make sure you take the time to marinade and cook it just right. 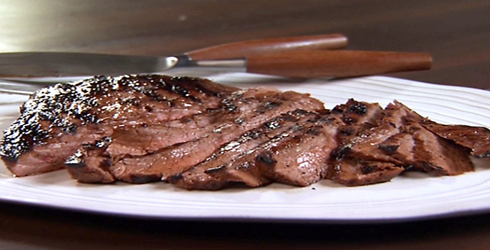 Paying attention to not over-cooking is very important so that you have a tender steak and not a tough, chewy steak. 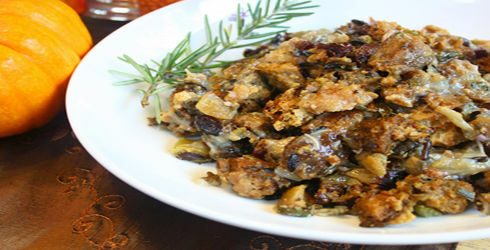 Stuffings are a delicious side dish, often found on tables around the holidays with turkey, but is also a perfect accompaniment to pork chops and chicken. It seems like there are endless possibilities to stuffing recipes, but my Crock Pot Stuffing Recipe is one that I found is a hit with all that try it. When you are going to be busy in the kitchen preparing your holiday meal, it is great to be able to make Crock Pot Stuffing and not have to worry about it until you are ready to serve. It’s that time of year again, holiday baking time! We all have our favorite cookies to make and share during the holidays, but it is always fun to find new recipes for delicious cookies. 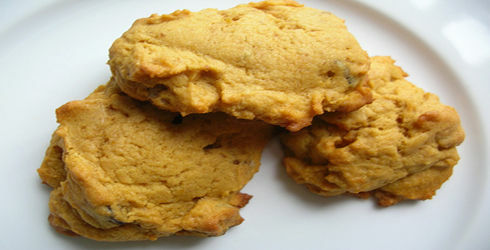 Pumpkin Cookies is a simple recipe that everyone is sure to love. What you get and moist, chewy cookies with a little bit of spice. Perfect for the winter season, and a great way to use all the canned pumpkin you can find plentiful in the stores. 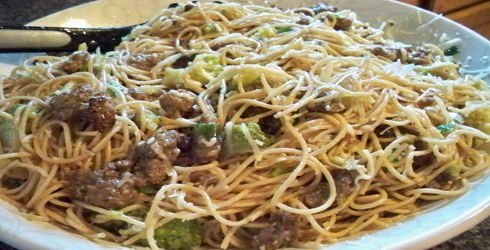 Pasta with Sausage Sauce is a great dish to make when the weather starts too cool down and the harvest has begun. The simple sausage-cauliflower sauce is delicate and delicious, perfect for when you are wanting pasta but something different then the traditional red sauce. Pasta with Sausage Sauce is sure to be a new favorite in your kitchen. Penne in Almond Sauce is a great weeknight recipe. I love finding recipes where I can use a store-bought rotisserie chicken. It makes cooking so much easier, and adds a lot of flavor to the dish. More then just boiling your own chicken breasts. 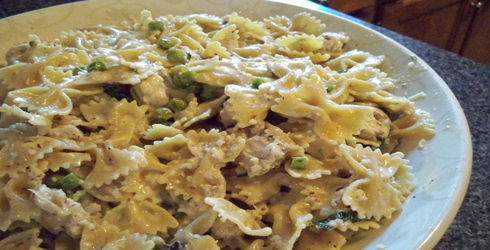 The almond sauce is a perfect compliment to the pasta and chicken, giving the dish a light, unique flavor. 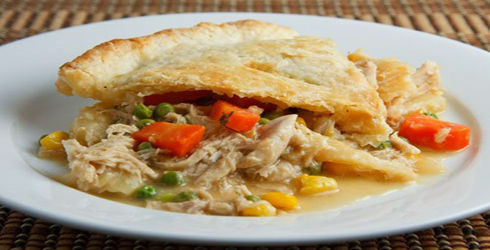 There is nothing better than a Chicken Pot Pie to comfort you, especially on chilly nights. This is one of my all time favorite dishes, but I never really made it that much until I found this awesome Chicken Pot Pie recipe.